Often Sometimes I find myself cold, hungry, and skint. The cupboard is bare, and whatever I can find hiding in dark corners of the kitchen is uninspiring. 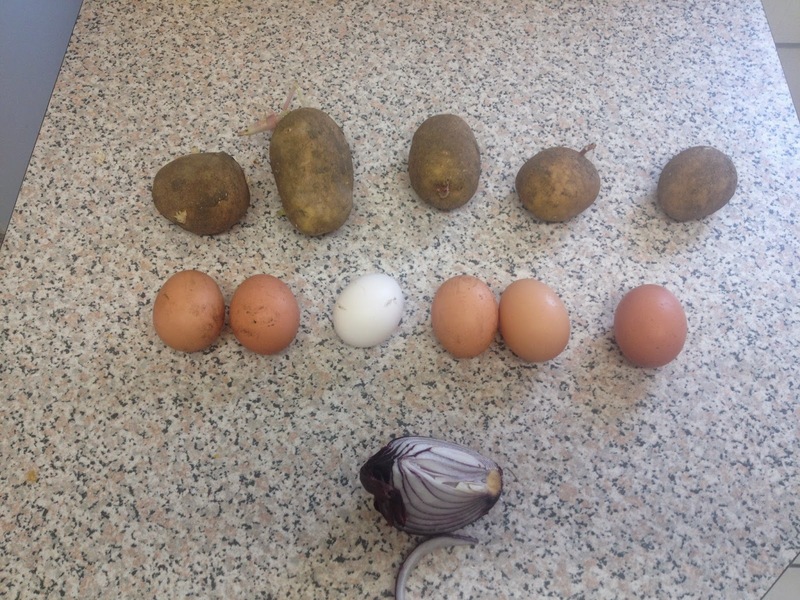 Say, for instance, a few past-their best potatoes, a bit of old onion lurking in the back of the fridge, and eggs. Having our five lovely feathered ladies means we always have too many eggs! Not very appetising, is it? And so, I present to you, my authentic(ish) Spanish(ish) Omelette! A horrifying (yet delicious) quantity of oil, olive if possible, but any frying oil will do. 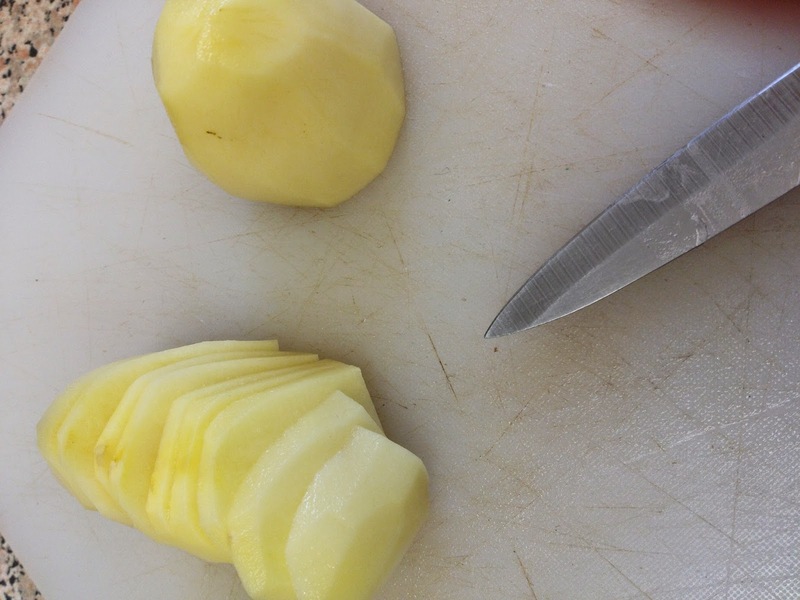 Peel, half and slice potatoes into thin slices. 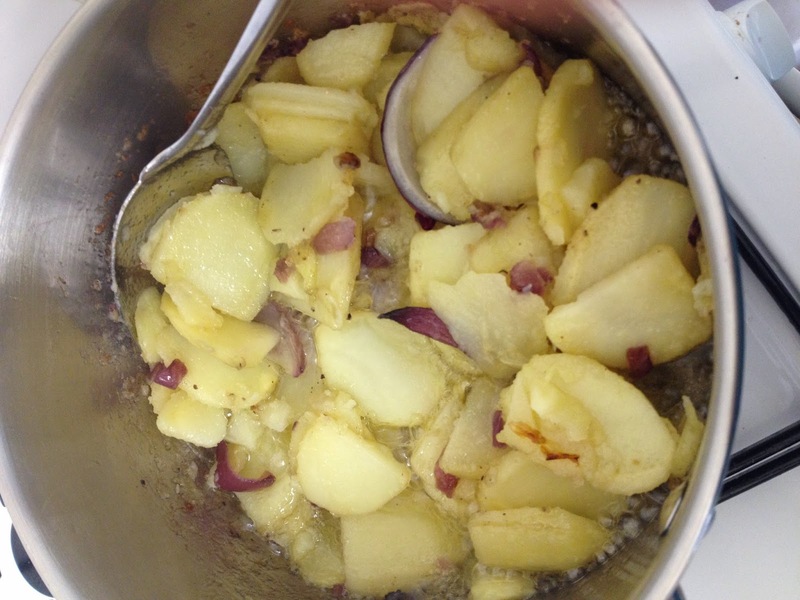 Add the onions and potatoes, turn the heat to medium, and gently fry for about ten minutes, stirring, until potatoes are soft and nearly breaking apart. Heat 2 tbsp of this oil in a small frying pan. When the pan is hot, add eggs and potato mixture. Turn to lowest heat and cook gently for about 15 minutes until the edges come away from the pan and most of the omelette is set. Use a spatula to prise the omelette from the pan. 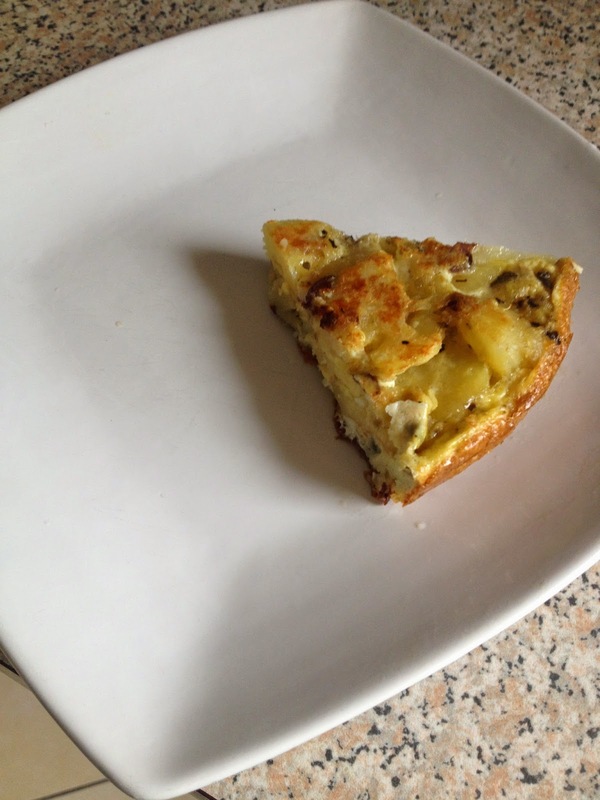 Now, the tricky bit: Put a plate over the pan and flip the omelette onto the plate, so the runny side is down. Then slide the omelette back into the pan and cook this side for about 5 minutes. This is wonderful with a fresh green salad, or some buttered peas. Also nice cold, wrapped in foil, to take to work or school. 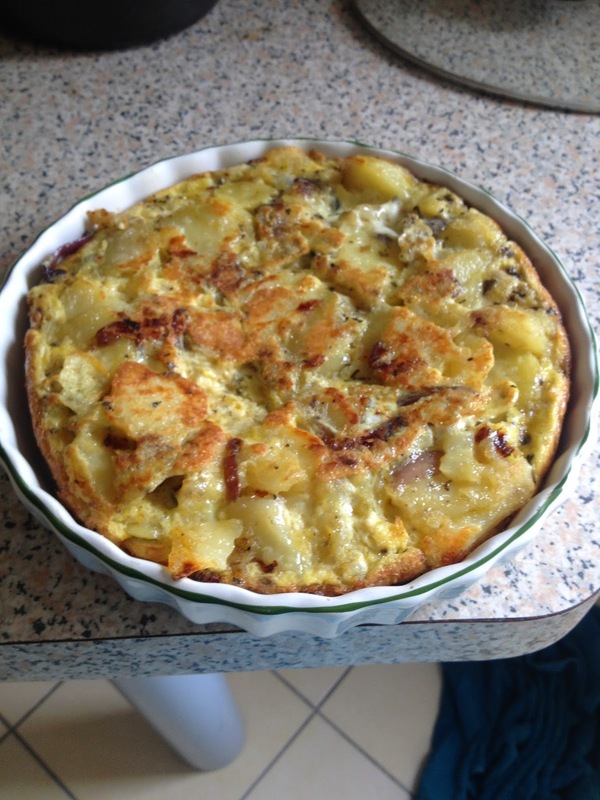 When I was younger, my mum used to make Spanish Omelette with leftover chips from the chippy (a rare treat). 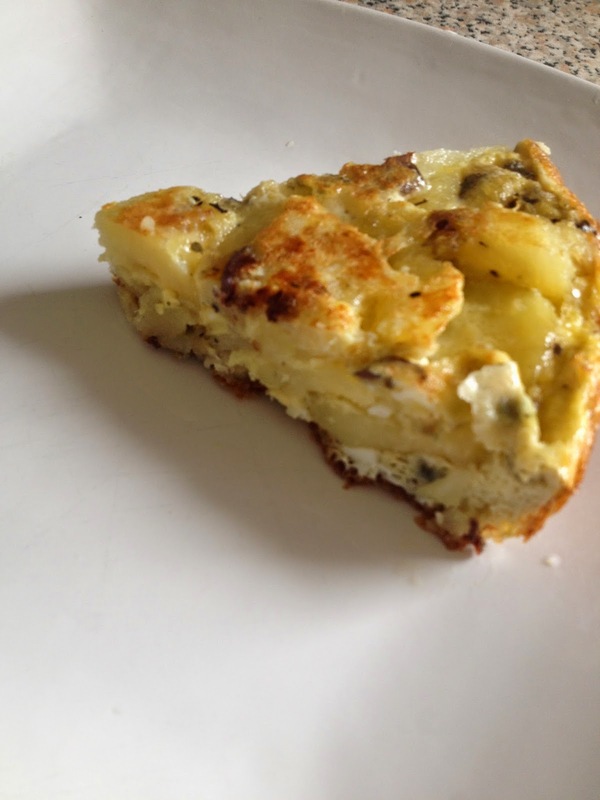 This version is much nicer (sorry, mum) and can be adapted to use up veg from the allotment. It's also wonderfully cheap! Nice to see someone else's recipe on this. Looks lovely! I have tried it with all sorts of veg in there and most things seem to go. Spinach is a top choice though I agree! If you want a quicker/cheaty way of cooking it through I do it in the frying pan, 4 minutes after the eggs go in, then don't bother turning it over but put it under the grill for a further 4 minutes. Maybe mine isn't as thick as yours looks but it is cooked through every time when I've done that. And if you put extra cheese on top the grill melts it and it goes pretty crispy and amazing. Recently I have been doing it like you, and I agree there is so much less mucking about! I still do it super thick but simmer it on low for 10 mins before gently grilling the top until it's set. A veggie omelette is such a Mustachian food, full of the cheap good stuff. In fact, I think I might have one for breakfast now.